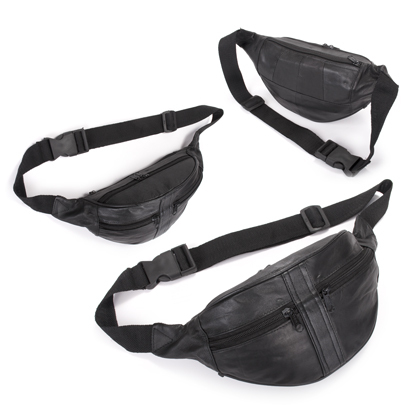 Ergonomic belt bag produced from quality soft Nappa leather with PU trim. Roomy main compartment plus additional zipped slip pockets to the front and rear. Fully adjustable webbed belt with quick release buckle.